Sorry, no ladies in late night just yet. James Corden has been announced to take over for Craig Ferguson when his run as host for the Late Late Show ends in December. 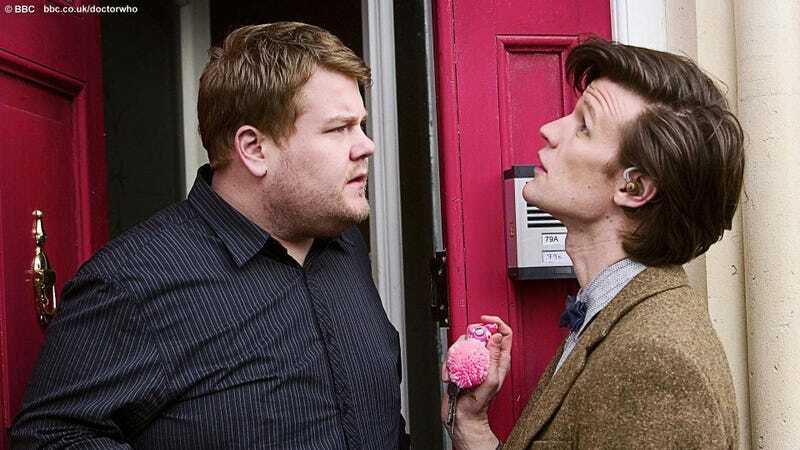 Corden is a popular British comedian known for his roles on the shows Gavin and Stacy and Doctor Who. And I'm not sure how I feel about this. I enjoy James Corden, but I've never considered him to be talk show hosting material. Gavin and Stacy is an excellent program, and I loved his portrayal of Craig in the two episodes of Doctor Who he has done. He's a very funny person. But will this translate well into hosing a late night talk show? Dunno. This news will also come as a massive disappointment to those who hoped that TV execs would finally stop going with white male hosts for late night. Clearly, this isn't going to happen any time soon. And that's truly disappointing. Maybe when Conan retires.